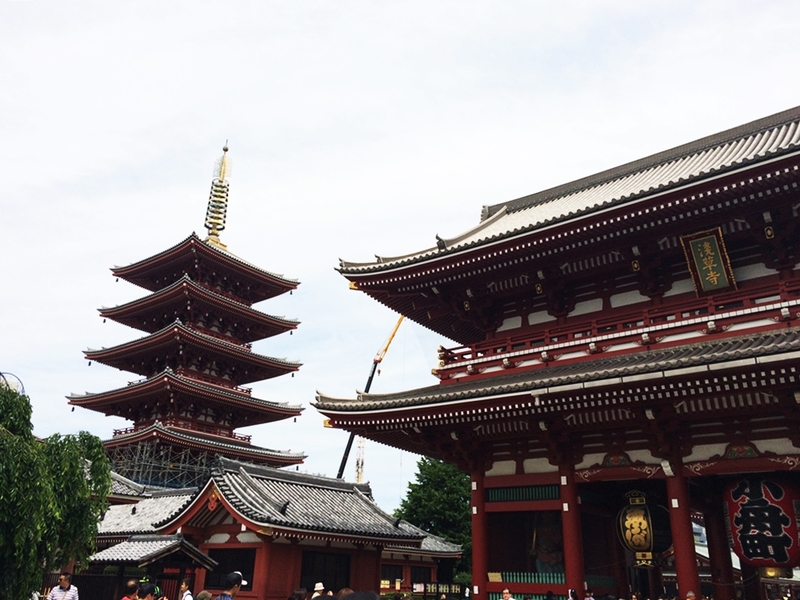 I already blogged about my first two days in Japan here. 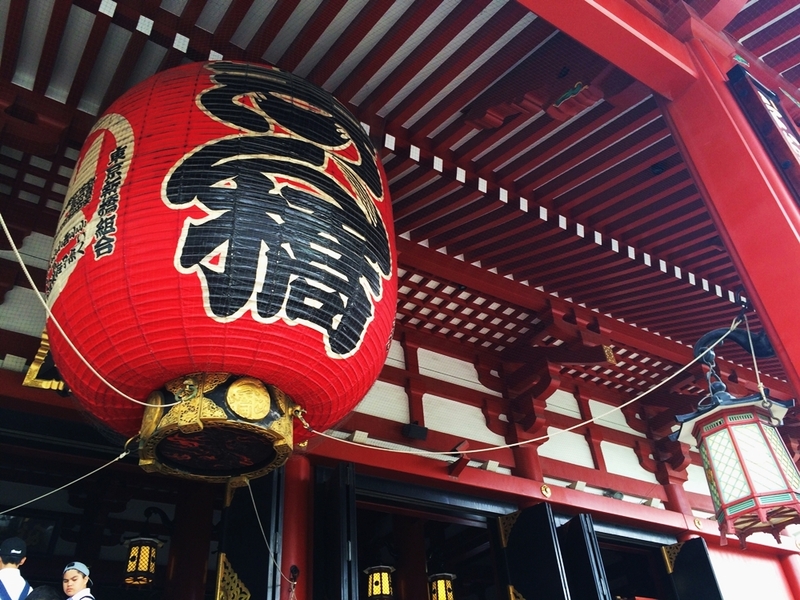 I talked about the day we arrived in the city of Shinjuku and spent the rest of our night at the hotel to prepare for a long day tour the next morning where we spend in Tokyo DisneySea. And now here is what happened on the rest of our stay and the places we visited. We probably visited Mt. Fuji at the wrong time and season or I expect myself to see it in a different point of view? I don't know really because I expected to see a picture perfect mountain that day but I end up being disappointed on how it looks in person. You can actually view Mt. Fuji from many points around Japan and as for our tour we were on the foot of the mountain, we reach until the 5th station where they usually bring the tourists and our tour guide said that we're really lucky to see the mountain this clearly because there was no fog that day. Anyway, like what I said, it wasn't the mountain I expect to see but you know it's Mt. Fuji because of the ice cream in its peak. 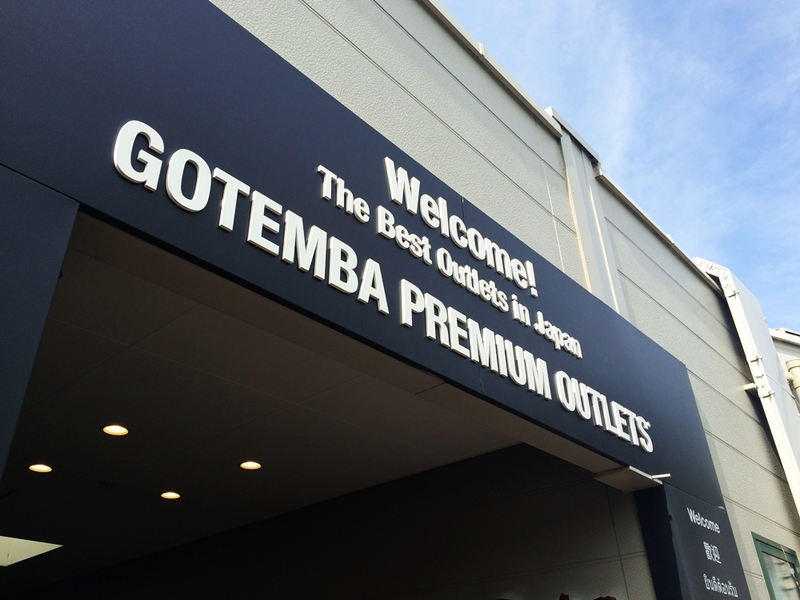 After that, we stopped by the Gotemba Premium Outlet before going home so we could buy some "pasalubongs" and get some shopping done. 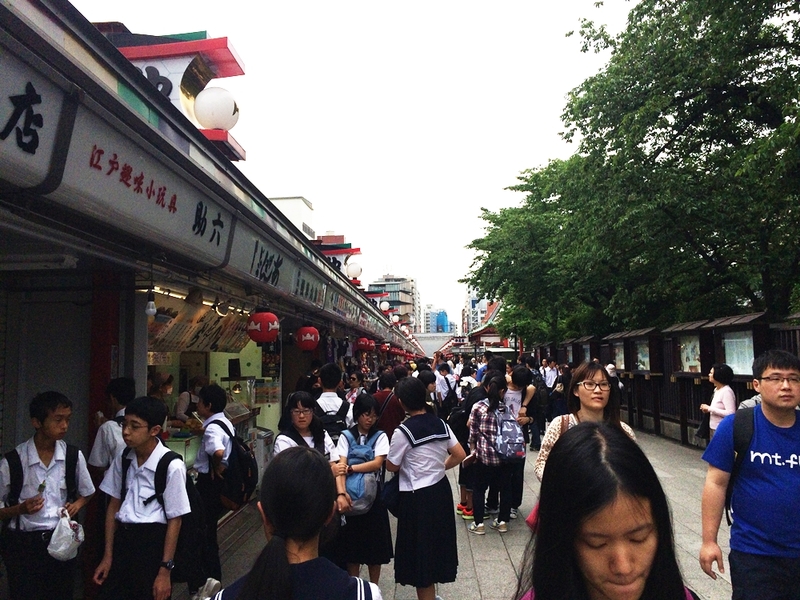 Once you get to roam around, you'll find a long street lined with lots of souvenir shops and food stalls. That shopping street is called, Nakamise Shopping Street. I actually got most of my pasalubongs from there because there is food option and shops everywhere. Since our time is limited, I didn't get to try all the food around (one of the things I regret not doing) since I focus on getting souvenirs that I'll take home. Well, I guess you have to spend a day in here if you really want to explore the place and at the same time see all the shops and try all the food in the Nakamise Street. 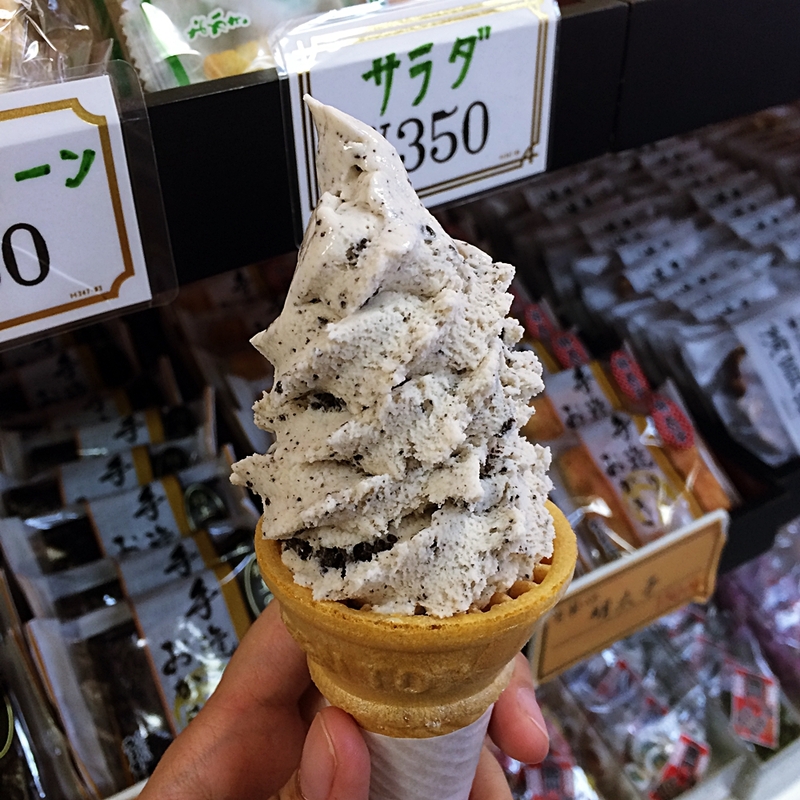 By the way, I got to try a cookies n cream ice cream in Nakamise and the odd thing about it, you are only allowed to eat and lick your ice cream inside or outside the store, you are not allowed to walk around with your ice cream in your hand. So if you're planning to get an ice cream do keep this in mind and think twice especially if you have limited time to look around. 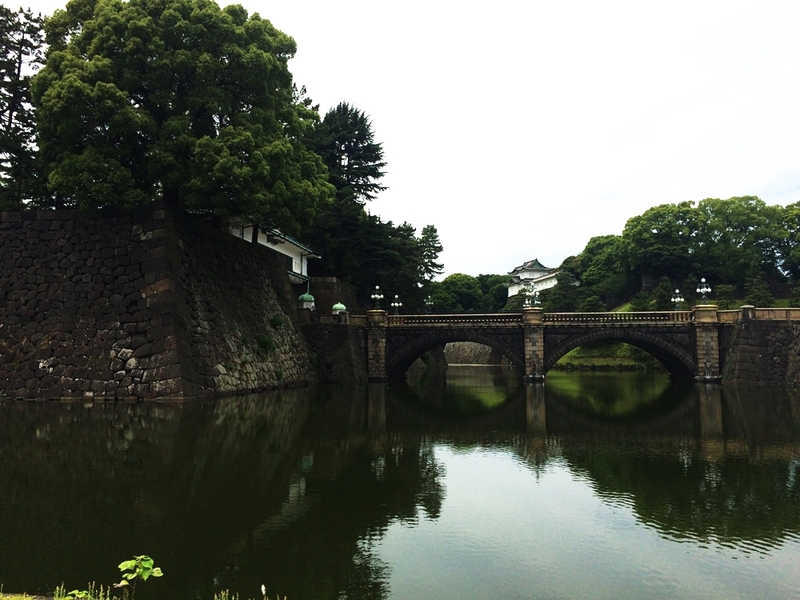 After visiting the temple, we went to Tokyo Imperial Palace to take some photos outside the castle. I'm not sure, do correct if I'm wrong but I think tourists are not allowed to enter and you could just take photos around the lake where you could view the palace. By the way, if you're in a tour group and planning to take a group photo with a tarpaulin of the company like we tried to do, it is prohibited. And our second to the last stop before our tour guide allowed us to separate and go back to our hotel on our own is the Tokyo Tower. 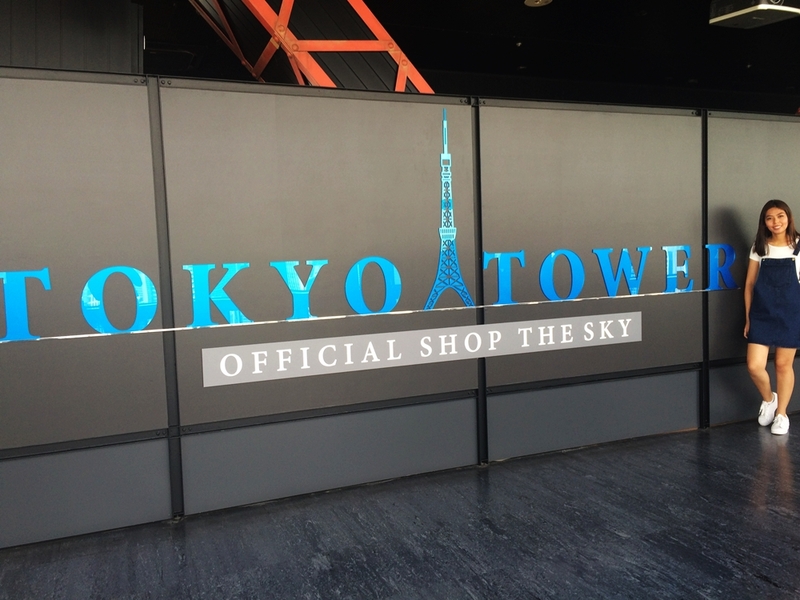 I actually also wanted to visit Tokyo Sky Tree because it is another popular tower in Japan a tourist should visit. Anyway, we took the lift up to the Observation deck, which is 150 metres above the ground via elevator. The observatory offers an interesting view of the city and there are some "look down windows" on the floor to stand on. Most of my tourmates took photos while standing and sitting in the floor window and some are shouting of fear while taking the shots. Hahaha! And on our way back to the bus, we saw the One Piece figures on our way. Based on my research this is called the "Foot Town" building that has souvenir shops, cafes and restaurants. 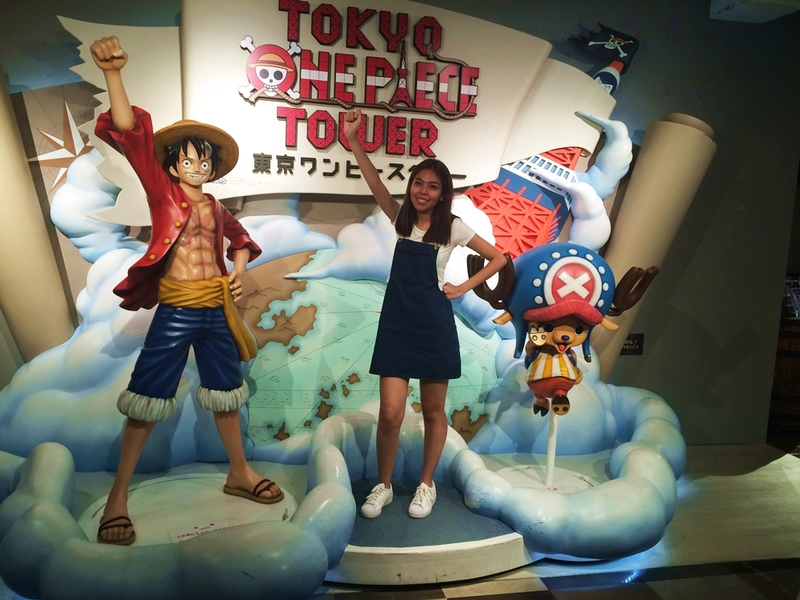 And that One Piece Tower we saw is an indoor amusement park inside the Tokyo Tower. By the way, I didn't get a nice angle of the tower for a photo since just like in Mt. Fuji, we were parked in the foot of the tower. Hahaha! The last stop and my most awaited place to see before our free time is the Shibuya Station where our tour guide show us where Hachiko statue and the famous Shibuya Crossing can be seen. Yes, this is the highlight of my trip, seeing Hachiko for the first time is one of the reasons why I want to visit Japan. To those who doesn't know, if not everyone, most locals in Japan and people visited the country know the sad story of the Akita breed dog Hachiko where he used to wait daily for his owner in front of the Shibuya train station for 10 long years. He waited and waited but his owner never came back until the day he dies. 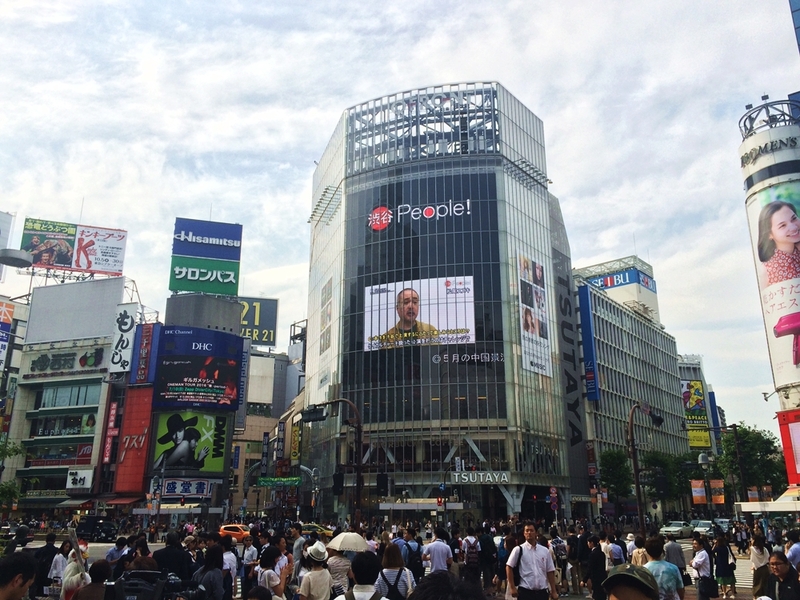 That's why the statue of Hachiko is a popular place in Shibuya. If you want to know the full story of Hachiko, do visit this site. By the way, when I saw the statue that day, Hachiko has a friendly cat visitor resting on his gap. Aside from taking photos with Hachiko and crossing the street, I wasn't able to explore Shibuya because we were fetched by my mum's friend who lives in Chiba so she could spend time with us. I was sad that I didn't get the chance to explore and shop around the city and see the crossing in its best view. But never the less, glad I got to cross the famous Shibuya crossing and see Hachi. And after we left Shibuya to go with my mum's friend, we were able to visit more places not included in our itinerary with her Japanese husband who drove and accompany us. They first brought us in Harajuku where I expected to see Kawaii girls and cute shops I always find online but unfortunately we were brought in the side where it's more chill and mature where rare Kawaii girls can be found. 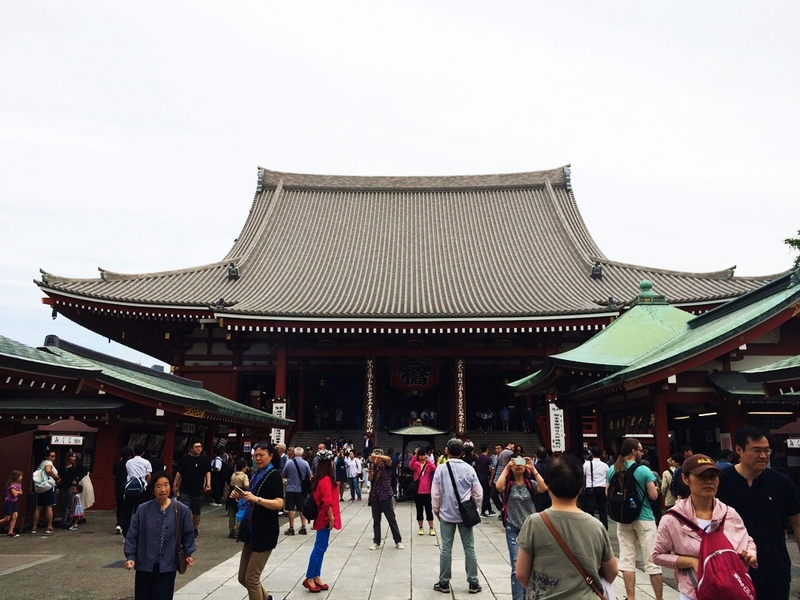 And as I did this research, we where in Omotesando instead of Takeshita where I wish they brought us. Well, this just means that I need to go back to Japan to do all the things I missed doing. Hahaha! 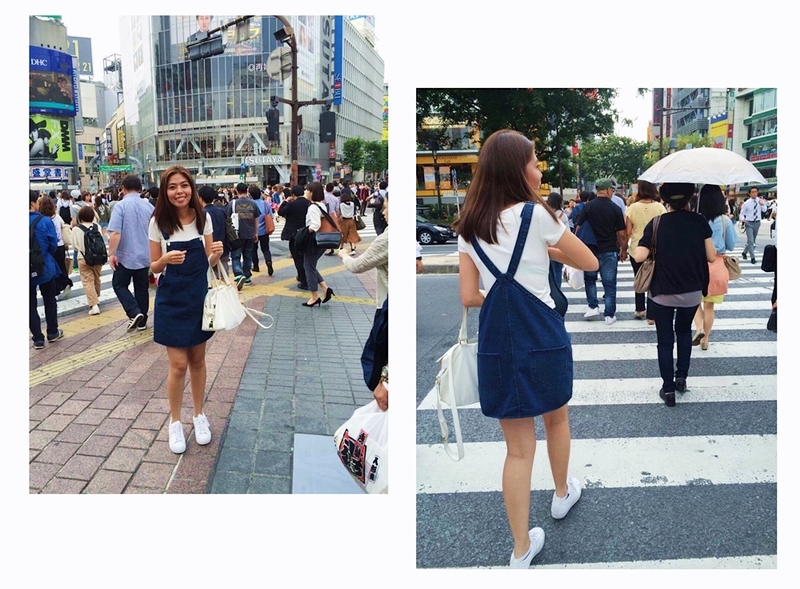 You see, Harajuku is known to be the center of Japanese extreme teenage culture and fashion trends. And one focal point in Harajuku is the Takeshita Dori (Takeshita Street) where I really want to visit because there you can find many trendy shops, fashion boutiques, and fast food outlets towards the fashionable and trendy teens walking around. It's the street where girls like me would totally love to explore. And the other point is just south of the Takeshita Dori, there you can find the Omotesando, a tree lined avenue where high-end boutiques and luxury brands can be found. It is a more mature destination to shop over the other. Since we do have very limited time for them to roam us around and we need to get some last minute shopping, they decided to just bring us to LaLa Port Shopping Center in Chiba Prefecture an hour or two drive from Shibuya because they know the place very well than Shibuya. And after looking for some pasalubongs and ate dinner in an eat-all-you-can buffet in the mall they brought us in Don Quijote in Chiba to get us some more pasalubongs before they drive us back to the hotel. 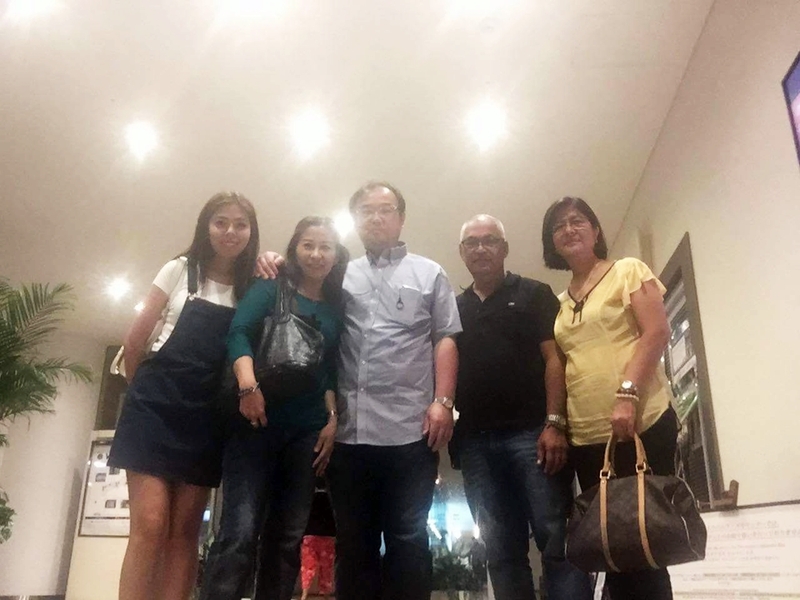 My Aunt and Uncle was so shy to my mum's friend and her husband the whole time because they felt that we bother them and took so much of there time just to meet us but we're also glad to meet one of my mum's close friend for the first time. 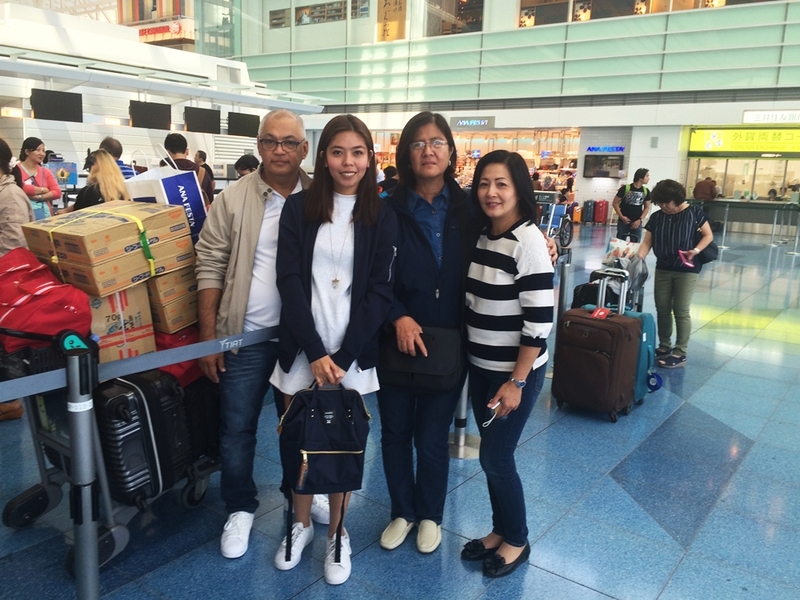 Thank you Ate for accommodating and giving us time in Tokyo! And ofcourse, thank you for all those boxes of pasalubongs! Hahaha! We'll see you soon! 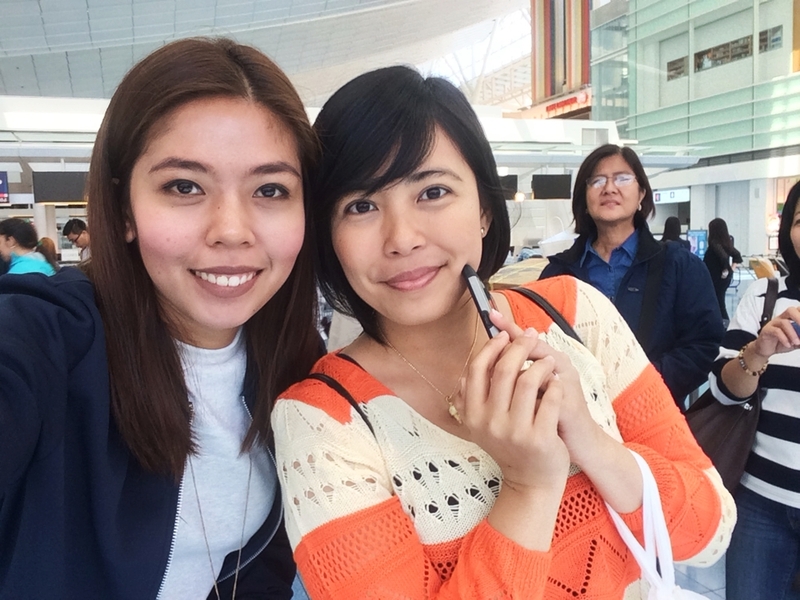 And before finally saying goodbye to Tokyo, we also got the chance to meet my aunt and uncle's in-law which is my cousin's wife mom and sister in the airport. They see us off and hand-over more free pasalubongs to bring home. Hahahaha! And after spending four days in Japan and taking a break from our busy businesses, we're finally going home. Thank you Japan for the wonderful experience and thank you very much to Emperador for giving us this opportunity to visit the Land of the Rising Sun. Until next time! I love the format of your post and photos, Rej! Go to Harajuku if you want to see lots of Kawaii girls and those Kawaii shops but make sure it's in the right area. Hahaha! Hahaha! Same! If only I knew, hindi na sana ako bumili kasi it took so much of my time. Girl, ang hirap kaya magubos ng malamig na icecream. Hahaha!